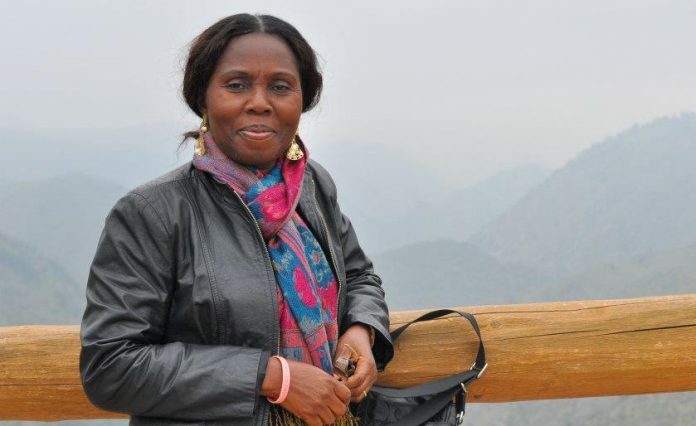 Mrs. Betty Anyanwu-Akeredolu, the wife of the Ondo State Governor and the founder, Breast Cancer Association of Nigeria (BRECAN), has called on citizens-driven support for women living with the breast cancer disease through the BRECAN Crowdfunding Initiative. Mrs. Anyanwu-Akeredolu made the call while attending Ibadan Golf Club Cancer Awareness Tournament. She explained why the association adopted crowdfunding as an alternative option for saving the lives of breast cancer patient, noting that the treatment of 10 women had already been funded through the initiative. The sum of N200 million BRECAN crowd funding launched last year by Mrs. Betty Anyanwu-Akeredolu was an initiative to fund the treatment of women living with breast cancer through modest contributions of concerned citizens. Addressing the gathering at a Cancer Awareness Golf Tournament, Mrs. Akeredolu observed that since the adoption of crowd funding in Ondo State, many women affected by the disease were now coming out and seeking financial assistance. Mrs. Akeredolu who stated that the core aim of BRECAN is advocacy and awareness creation but has now discovered that awareness is no longer enough, noting that through crowd-funding, BRECAN is now in a position where it can fund surgeries, among other things. “We had to figure out what to do because we have discovered that awareness is no longer enough. When a woman discovers she has a breast cancer, we should be prepared because quite a number of women are in need. “If we can’t fund everything, we can still fund surgeries instead of saying we don’t have money,” she stated. In Ondo State, we are about three milion people and if one million gives N200 each, we will have N200 million. “Crowd-Funding has gained currency. Today, we have funded about 10 women’s treatment through crowd funding. We have now extended crowd funding to Oyo, Imo, Abuja, among others,” she stated. She added while urging women to present their case early to enhance the chances of survival and make the treatment cheaper. While also stressing that crowdfunding is a citizen-driven initiative, Mrs Akeredolu emphasised that if nothing is done to help save the lives of more women in their productive years, the future would be very bleak.